I made a big leap to go straight from omnivore to Vegan. I thought it would be the hardest thing in the world because my first attempt at going Vegan didn’t end too well. In college I went Vegan for 6 months, and do you know what happened? I gained 20 pounds! “How did that happen? !” one might wonder, and I’ll tell you. For dinner each night I would binge on Stacy’s Pita Chips and Sabra Hummus. I could finish a party size bag and entire dish of hummus. Chips had also became a large staple in my diet, as well as a lot of unnecessary carbs, refined sugars and fats. Needless to say, I wasn’t eating much fruits, veggies and legumes. I was taking the easy way out, and it showed! Thankfully, this time I am a little bit older and wiser and have decided to cook and prepare my own meals. It’s slightly pricier than reaching for the junk food, but your body will thank you in the long run. 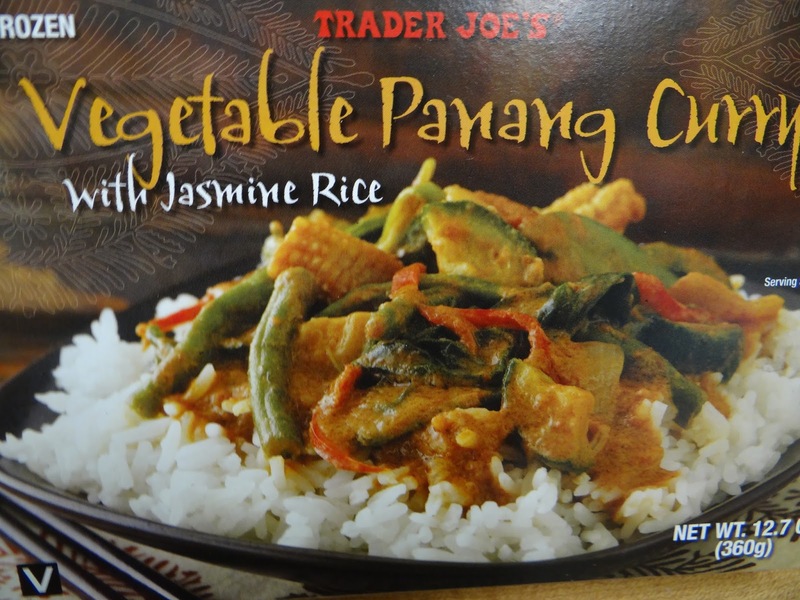 I sometimes calorie-splurge on the frozen Indian meals at Trader Joe’s (which are high in all the bad stuff: calories, saturated fat, sodium). These deadly babies are some of my favorite!